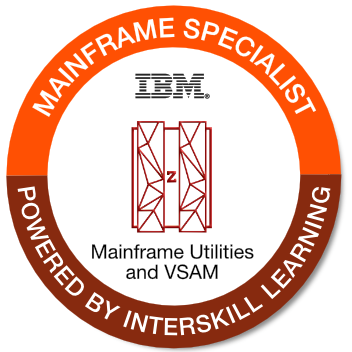 This badge earner can identify common IBM utility programs and describe how they are used. They can also code JCL and control statements for data copying utilities (IEBGENER, ICEGENER, and IEBCOPY), and general utilities (IEFBR14, IEBUPDATE, IEBCOMPR, IEHLIST and IEHPROGM). This individual can describe and code DFSORT programs used to reorganize data. The earner can also explain how VSAM data sets are structured, created, altered, copied, backed up, restored, and deleted.